A Maryland teenager was stabbed to death while trying to defend his mother from her live-in boyfriend during a domestic dispute, charging documents show, according to WJLA. The documents report that 14-year-old Keyshaun Mason and his 18-year-old brother, Nathaniel Deberry, were trying to "assist their mother at which time Sean Crawford armed himself with a kitchen knife and barricaded himself and their mother inside the master bedroom." The teens forced their way into the bedroom and demanded that Crawford leave. The 48-year-old reportedly stabbed Deberry in the shoulder, wounding him, and stabbed Keyshaun in the chest, WJLA reports. Neighbors told WJLA in an earlier report that commotion at the Oxon Hill residence woke them up around 7:25 a.m. Monday. "It was really, really, really, really loud," neighbor Alexis Black told the station. "It was like a football field of people fighting under me. It was really loud. You could hear them screaming." Both teens were rushed to the hospital, where the younger boy, a student at the Potomac High School, was pronounced dead. Deberry was treated and released, according to Fox 5 DC. 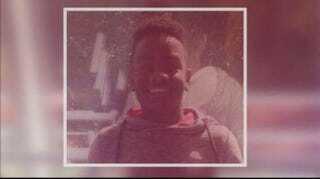 "It's tragic; I can't … put words in it," Chardonnay Moore, one of Keyshaun's friends, told WUSA 9. "That's my best friend." Crawford fled the apartment but was later arrested and charged with first-degree murder and attempted first- and second-degree murder, Fox 5 DC notes. According to WUSA 9, he is expected to remain in custody without bond.